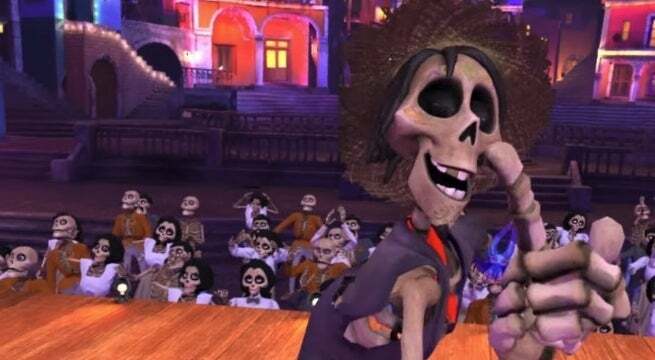 Disney and Pixar's latest feature film, Coco, sprang to life on the big screen this past November. With gorgeous animation and a soundtrack that would even get the grumpiest bag of bones up on their feet, it's no surprise that the IP has expanded to include not only standard merchandise, but new and creative games set within the world of the film, accessed exclusively through virtual reality. The experience was developed by Magnopus in collaboration with the teams at Pixar. Magnopus is a Los Angeles-based studio that some might know for their work on the Blade Runner VR experience, Blade Runner 2049: Memory Lab, or through their incredible work on the space station VR experience, Mission:ISS. In Coco VR, the Land of the Dead comes to life through a multi-player VR experience. Players can socialize, explore their surroundings, customize their avatars, play several mini-games, and even ride a virtual reality gondola to scope out the world of the film. WWG recently sat down with Magnopus co-founder Alex Henning to find out more about working with multiple teams within virtual reality. Henning noted that the way the two companies collaborated happened almost by design, but not intentionally, at first. "We worked extremely close with Pixar every step of the way," said Henning. "We put our engineers and our artists directly in touch with their crew and sort of removed as many barriers as we could." But as the process continued, a new alternative grew out of the experience's development. "When we started prototyping one of the first things we put in were some of the social mechanics like voice over, avatars and the multi-player stuff," Henning explained. "So, since we had that up and running from an early time, we decided that the best way to have conversations while we were building would be in VR where we can all look at it together. Whether it was set layouts, or character performance, a lot of times we'd just get into VR together and judge it natively, which was honestly really cool." Given that their 'office space' during these meetings was the actual Land of the Dead from the film, we'd have to agree. Coco VR is available now on the Oculus Rift and Samsung's Gear VR.